When your days are all about meetings, long working hours and lunch time projects, then staying healthy can sometimes get shoved to the wayside. While many of us want to commit to a healthier way of life, actually taking the time in which to source recipes, buy ingredients and prepare meals can seem like too much of a hassle and at the end of a long working day, we might just reach for the nearest thing in the freezer. Luckily, however, there is another way. There are a ton of easy and quick recipes that you can whip up in a flash, all while getting the right kinds of nutrients. Thought that fast food had to be unhealthy? Think again. One of the most diverse vegetables out there, cauliflower can be transformed in a ton of different, delicious ways that won’t leave you feeling guilty after you finish your meal. 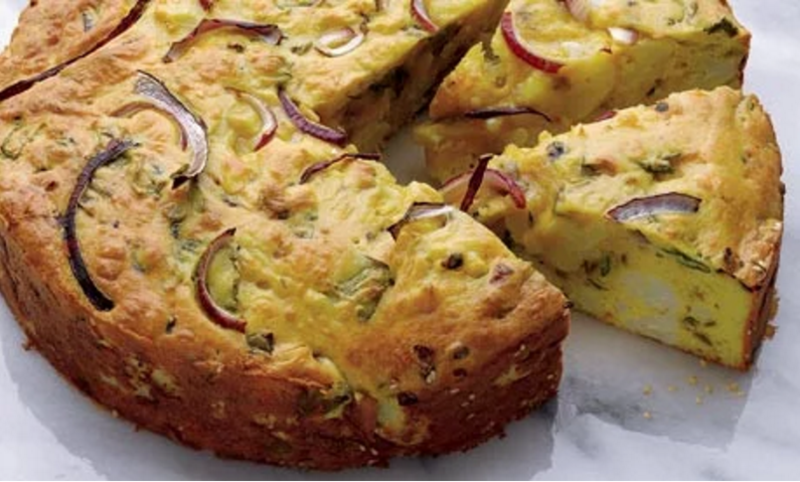 Out of all of the recipes on the market, however, this savory cake might just be the very best. Packed full of protein, vitamin C and potassium, the dish can be prepared ahead of time and enjoyed on the go. The breakfast choice of champions, eggs are one of the best ways in which you can start your day. Packed full of protein, the mighty food source will help to keep you feeling fuller for longer and can also help to build back any muscle wastage that you might experience after exercise. 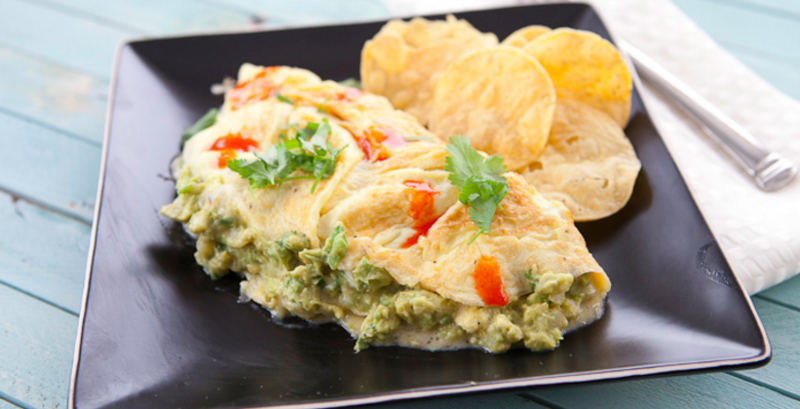 This guacamole omelette might just be the best version you can whip up in a few minutes; filled with avocado, pepper and the fluffiest eggs you will try, it might just change your morning routine entirely. When it comes to filling lunch foods, soup is right at the top of the list. Nutritious, warming and oh-so satisfying, a healthy soup is a great way in which to get all the nutrients you need in the middle of the day and ward off that 4pm slump. 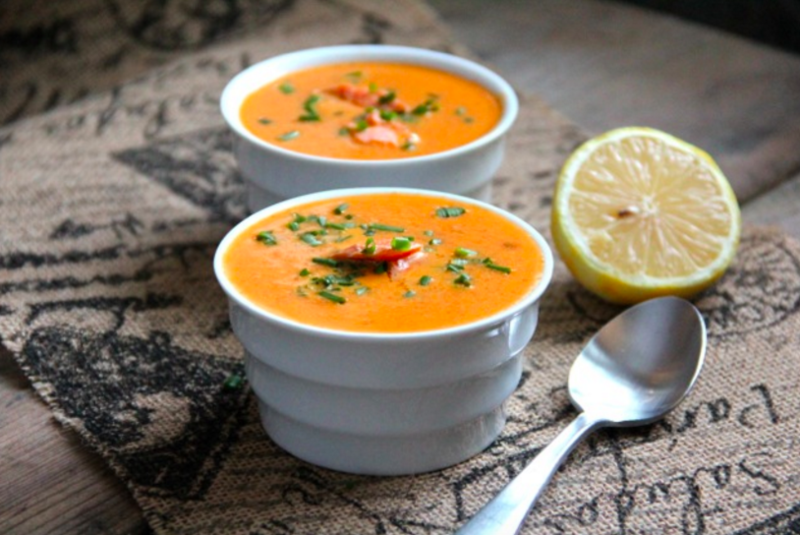 Loaded with fresh salmon, carrots and a hearty broth, this salmon bisque will really perk you up in the middle of the day and won’t leave you reaching for that cookie jar, either. 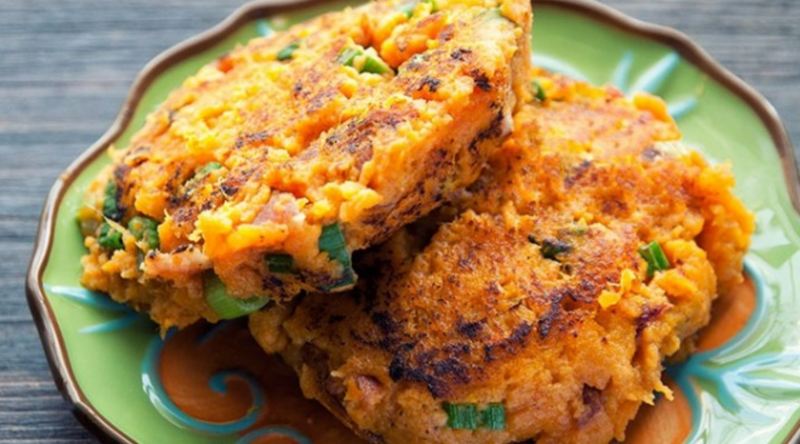 While the words “bacon” and “healthy” are rarely seen together in the same sentence, these sweet potato and bacon cakes might just change how you view the meat. Containing mainly sweet potatoes, green onions and seasoning, these savory patties go easy on the fatty bacon, adding in merely a sprinkle for flavoring. The best part about the dish? The cakes cook in just a few minutes, giving you all the time in the world in which to savor your meal. 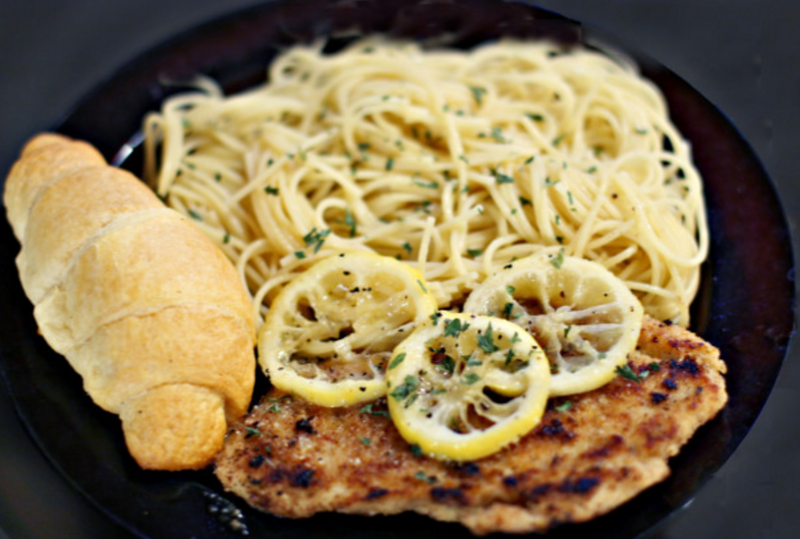 Light, tasty and incredibly healthy, there’s a lot to love about this herbed chicken piccata. Loaded with garlic, basil and lemon, the dish doesn’t scrimp on the flavor and, using the leanest cut of chicken meat, is a great source of healthy protein. While you can serve the dish with whatever accompaniments you like, the meat goes best with leafy green vegetables and a serving of brown rice. Prepare, enjoy, repeat. Giving in to your sweet tooth is something that happens to the very best of us, and with the likes of chocolate, ice cream and cookies making the rounds, sticking to a healthy diet can seem all but impossible. 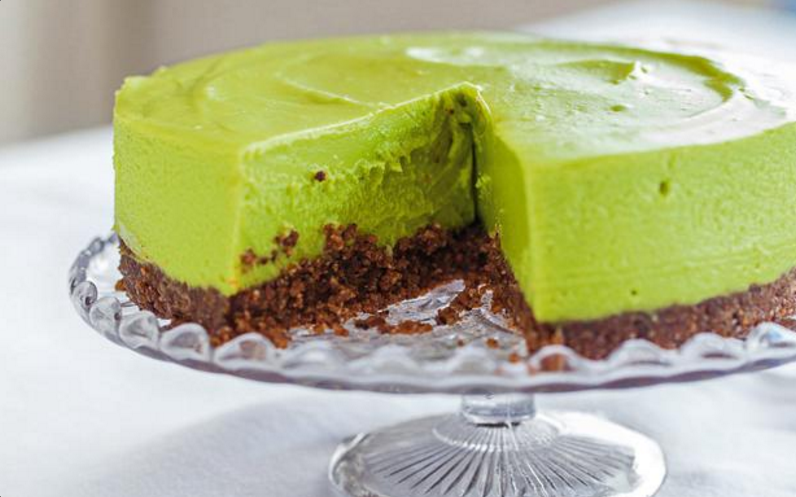 Enter the avocado cheesecake. Filled with the healthy fats found in avocados, this recipe goes easy on the calories and, presented with a walnut crust, is a great way in which to get your protein fill for the day. Sweet, smooth and just a little bit tart, this cheesecake will have you reaching back for more, with none of the guilt.